Winemaking started as a weekend hobby for Wes Teslo. Now he heads J. Bell Cellars, a thriving winery in the Yakima Valley. This small, family-owned winery produces limited quantities in Zillah. The focus for the winery is on reds – Syrah and Cab Frank (yes, Frank), Cabernet Sauvignon, Merlot and Pino Rosé. Teslo maintains that winemaking starts in the vineyard. J. 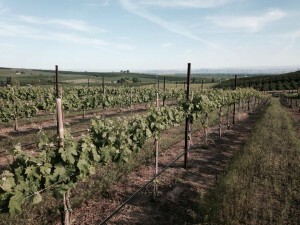 Bell Cellars partners with select vineyard growers in specific areas to find quality fruit to meet his stylistic goals. He strives to capture the flavor essence of Washington’s world class growing region. To finish the wine, every drop of red wine made at J Bell Cellars ages in barrel 20 to 30 months in predominately French oak. At the winery where the vibe is laid back and inviting. Adjacent to the tasting room an outdoor patio offers chairs and tables where guests can relax outside with a glass of wine while enjoying vistas of Mt. Rainier and Mt. Adams. Then there is more. The soothing fragrance of lavender, coming from the winery’s lavender field. This brings the spot all together making J. Bell Cellars a great picnic stop. The winery will also be open for the upcoming Pre–Spring Barrel Weekend, Saturday, April 18. Check out J. Bell Cellars’ wine selections and chat with Wes at the Seattle Wine And Food Experience.